DIY Easter decorations are the easiest way to get your home ready for the Easter season. Whether you’re looking for fun Easter party decorations or you want to create a decorated mantle for your home, these ideas have you covered! This paper bag Easter nest uses most things you already have in your home and your craft drawer so it can be easily pulled together to keep your kids busy on a rainy spring day. Send them out to collect small twigs and watch them get creative! This party from Lindi is full of bright spring colors and this decor kit has everything you need to throw an awesome party on a budget. If you’re in charge of your family’s Easter dinner, these easy Easter table decorating ideas by Lindi will make planning a breeze. This free Easter backdrop printable creates an instant Easter party. Just download the free file and send it to a local printer. If you want something smaller, all you need to do is resize the file and print it at home. 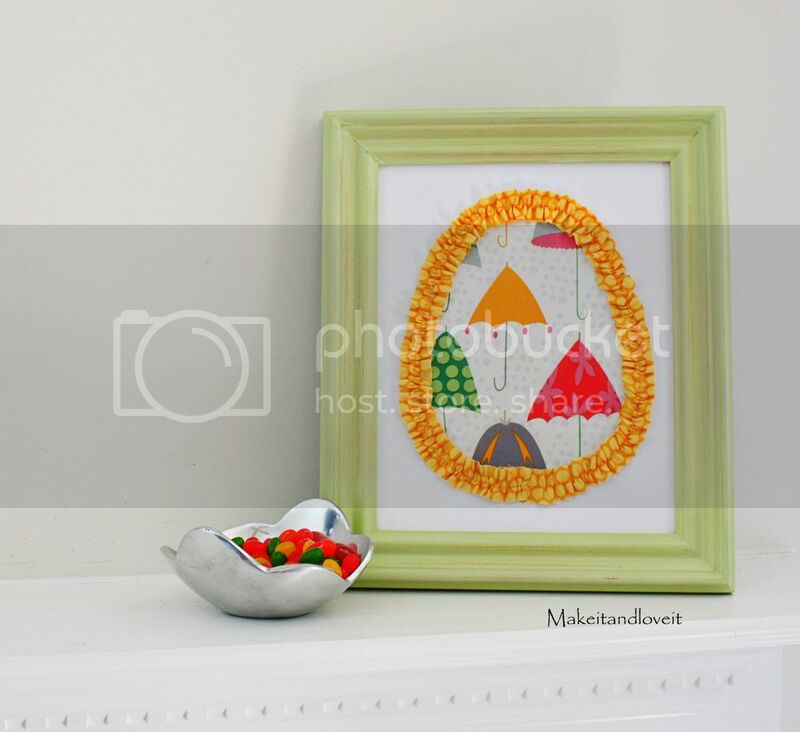 This jelly bean garland is good enough to eat, but it’s meant to be a fun decorating piece in your home. Just string jelly beans and hang it up wherever you want a fun Easter touch. Everyone either loves or hates marshmallow Peeps, but even if you don’t like to eat them, they make an adorable decoration. This small garland is just the sweetest. These clay Easter eggs are painted and embellished with cut paper flowers. They make perfect additions to a trendy Easter tree in your home. This knit Easter garland is easy to create, even for a beginning knitter. Knit a collection of small triangles, add a curly green top and string them together for a one of a kind garland that you can use year after year. If you’re looking for a more formal Easter table, this spring tablescape by Toni fits the bill. The centerpiece is easy to pull together and gorgeous! This mantle design uses a few DIY Easter pieces and a couple store bought items to create a cute mantle that you’ll want to leave up all spring long. These foam easter eggs are painted in bright colors and topped with faux flowers so they’re incredibly light and easy to display. The best thing is that they colors can be customized to match your own Easter decor. This Easter egg hunt brunch party plan is so full of bright colors – the bunny just won’t be able to resist! Don’t forget the confetti eggs for even more fun! This farmhouse spring mantle is so on trend it would make Joanna Gaines jealous. Rustic touches pair with a pop of turquoise that Jo wouldn’t be able to resist. Brunch is an Easter staple and you can’t go wrong with this table that’s full of waffles, juice and toppings. Your guests will love it! Creating one of a kind Easter decor starts with just an idea and this watercolor Easter canvas set is as pretty as it is fun to create. You don’t have to be a sewing expert to create a framed Easter egg like Ashley’s. A simple egg cut out of fabric outlined in an easy to create ruffle is all it takes to make this adorable home decor piece. 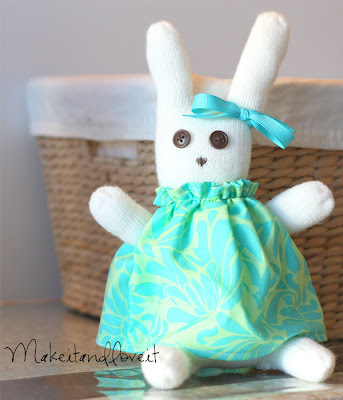 If the Easter bunny brings your kids a stuffed bunny each year, make it even more special by creating your own rabbit. You can personalize the clothing in your kids favorite colors for something they’ll treasure for years. How to make wreath garlands, felted garlands, ball garlands, and other DIY garlands for Christmas tree and home decoration.